The customer is the most valuable commodity that most businesses have. It is not easy to gain a customer, but it can be exceptionally easy to lose one. In order to maintain a loyal customer base, many establishments have now chosen to establish rewards programs to keep the people coming back. As a customer you are easily compared with the rewards choices that you have. You can earn rewards on anything to everything, from your cup of coffee in the morning, to building your deck, picking up cold medication, booking a vacation or feeding Fido. There are different types of reward programs out there. Some allow you to get immediate discount, others will give you a free product if you buy a stipulated amount of said product, while others allow you to collect points for dollar spend which you can then redeem for awards. If you want to start earning (and redeeming rewards) is sure to consider the following so that you can earn the most rewards from your spending buck. Choose your rewards card carefully: There is only so much room in your wallet, so you cannot have every single rewards card available. If you have too many you might end up forgetting to use it, with will not benefit you at all. Also if you collect points on too many things you will never actually earn any substantial value. 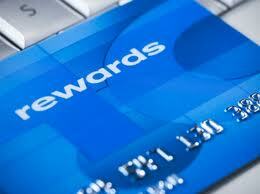 Collecting points on three or four reward cards is a good place to start. Choose convenience: If you can only use your rewards card a specific retail locations that you are never near, you are unlikely to use it at all. Sure sometimes we can drive to the specified gas station to earn the points, but it is so much easier to see what kind of reward programs are in the places that you already frequent. Double up on rewards: Many stores or services allow you to earn points, discounts or free products when you shop with their customer card. If you are loyal to the store that is a great deal, these cards however are not a form of payment. So if you combine your store loyalty card with for example a credit card that allows you to earn points as well, you can earn points doubly on a single purchase. Look for promotions: Sure you can earn points by buying regularly from the retailer using your rewards cards or rewards credit cards. However, several times of the year, most loyalty programs offer special deals to their customers that allow you to earn many more rewards. If you seek out those specific dates or products featured (which you can see on the loyalty websites or flyers) you can earn more points in a single purchase than you would using your card sometimes for months. Use your cards diligently: when you are earning rewards use your cards as much as you can. If you are earning points on a credit card, use it instead of cash or debit, just make sure to pay it off at the end of every month.